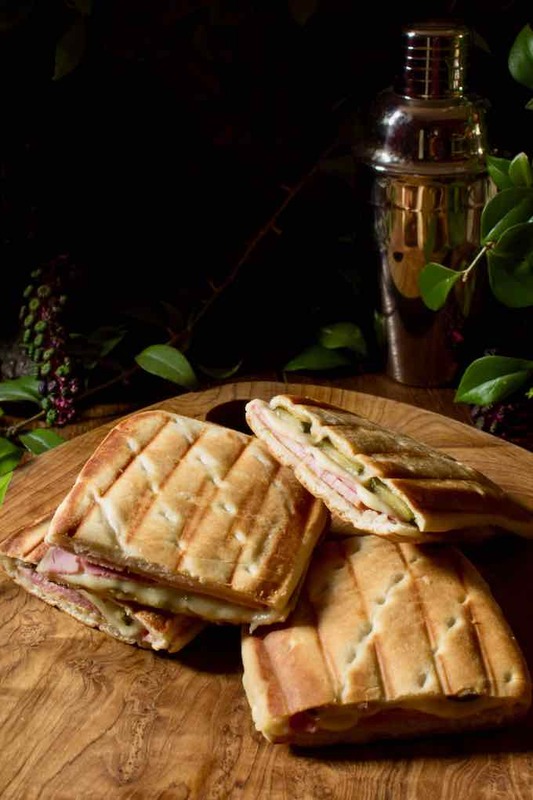 Here is a delicious ham and cheese sandwich, the cubano, mixto aka Cuban sandwich. It comes from Key West and Ybor City’s Cuban coffees in Tampa, Florida. 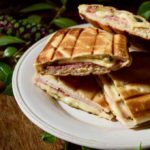 It was the first Cuban immigrant communities in Florida and later specifically in Miami who popularized this wonderful sandwich. Still very much appreciated, it is the official dish of Tampa since 2012 according to the City Council. 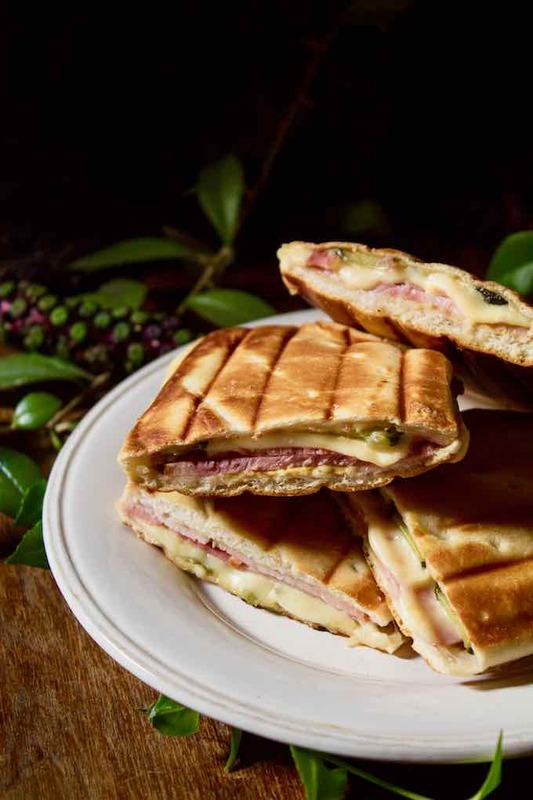 Cubano is a pressed Cuban sandwich. 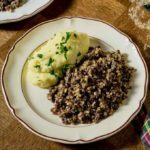 Its origin dates back to the nineteenth century, but the date of its creation is not very clear and would be between 1800 and 1900. At the time, traveling between Cuba and Florida was easy and Cuban workers regularly traveled to work on one side and went to see their family on the other. Since these movements are not very well documented, it is not possible to exactly date the invention of this sandwich. 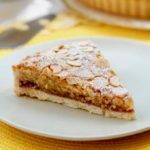 It is believed, however, that it was the staple food of cigar and sugar factory workers in Havana and Santiago de Cuba. According to historian Loy Gleen Westfall, this sandwich was born in Cuba but would have become popular in Key West. With the move of the cigar industry to Florida, Cuban workers and the sandwich would then have moved to the region. 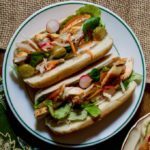 It was after the Cuban revolution and the influx of immigrants to the United States that this sandwich became a staple in Florida and more widely on the east coast. 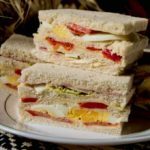 As is often the case for ultra popular recipes, there is much debate about what should and should not be included in this sandwich. However, you will always find Cuban bread, mustard, roast pork, ham, cheese and pickles. Some add salami, others do not. The Genoese salami imported by the Italian immigrants who lived side by side with the Cubans of Ybor City, was always appreciated by all. In Miami however, salami is not usually on the menu. 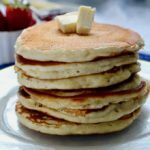 Once assembled, the sandwich is grilled on a griddle that presses the bread to make it golden and crisp and to melt the cheese. 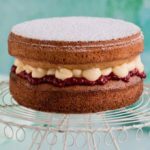 It is then cut in half to enjoy it more easily. As a result, it resembles the Italian panini that was also very popular in Florida at the same time. 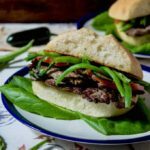 It is sometimes accompanied by fresh vegetables and finely sliced kosher dill pickles, which make this sandwich a complete meal. The pork is sometimes marinated with mojo (a mixture of lime juice and bitter orange) before being roasted for a long time at low temperature. The cousin of this sandwich is the medianoche (or midnight). 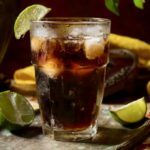 As the name suggests, it is consumed in the middle or late evening as people come out of the clubs in Havana and Miami. It contains the same ingredients but is prepared in a slightly smaller format than Cuban Sandwich. Also, the bread that is used for medianoche is yellow and made with eggs just like challah. It is sweeter than the usual Cuban bread used for Cuban Sandwich. – Bocadito or “little bite” made with fresh cheese, tapenade, salad and tuna. 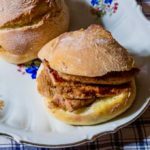 – Pan con minuta prepared with small bream from the region that are breaded, as well as onions and ketchup. – Frita, a kind of beef burger, made with pork and chorizo and served ​​with very crisp small fries. – Croqueta, a sandwich stuffed with a croquette filled with bechamel, ham, crayfish, crab, cheese or guava which is breaded, then fried. It can also be found in Spain. 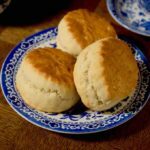 – Galleta preparada, rarer but appreciated by connoisseurs, where bread gives way to crackers to accompany ham and cheese. 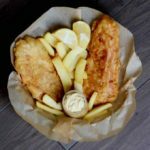 There are many other varieties prepared in toasted or soft breads, with meat, fish or raw vegetables and where cheese is not always present. 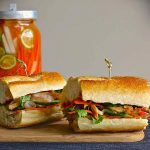 Generally, these sandwiches are accompanied by fries, making them particularly nourishing meals. You can find a number of them today in all good American food trucks that compete with ingenuity to make them tastier and tastier. Thus pork is sometimes marinated, cooked sous-vide at low temperature, grilled in ashes, simmered, roasted, fried. It breaks down to melt on the tongue and can bring you to new peaks of deliciousness! 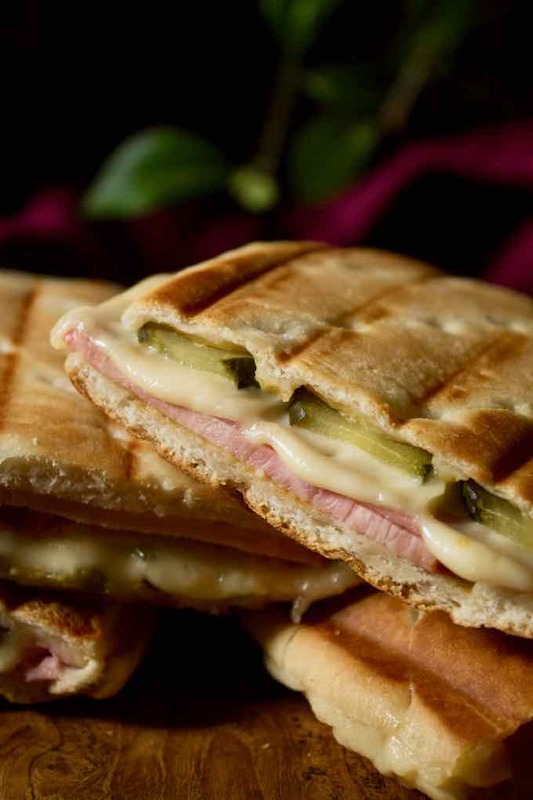 Cubano is a pressed sandwich with roast pork, ham, pickles and cheese, popularized by Cuban immigrants in Florida in the nineteenth century. In a large bowl, whisk together the oil, orange zest, orange juice, lime juice, garlic, cilantro, oregano, cumin, salt and pepper. Place the mojo pork slices in this sauce. Mix well. Marinate in refrigerator for 24 hours, stirring occasionally. Remove the meat from the salad bowl and place it on a baking sheet with the fat side up. Remove from oven and cover with aluminum foil. Cut the roast into thin slices. Set aside. Heat the sandwich toaster (or panini press). Heat a large frying pan over high heat. Brown the mojo pork slices on both sides first and then the ham slices. Set aside. Cut the bead loaves in half lengthwise. Spread the mustard on each side. Lay the mojo roast pork along the bottom half, then add a layer of ham, a layer of cheese and finally some gherkins. Cover with the top half of the bread. Brush the top and bottom of each sandwich with melted butter. Wrap each sandwich with parchment paper and heat in the sandwich toaster (or panini press) until they are crispy on the outside.